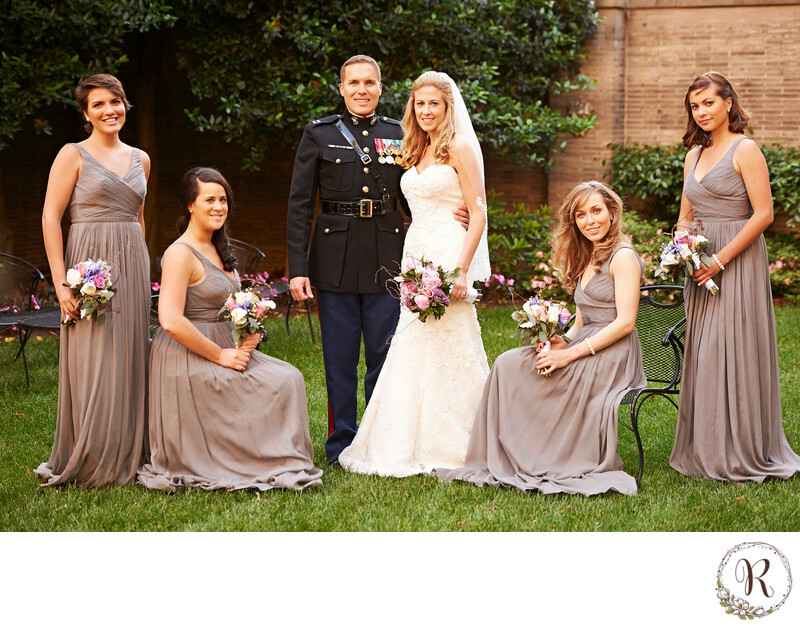 Bridal party portraits in the garden of the Anderson House. Location: Larz Anderson House, 2118 Massachusetts Ave NW, Washington, DC 20008. Keywords: Bridal Party Portraits (3), Lars Anderson House (3).